Clear Creek has always had a reputation for providing fly fishing gear that not only lasts, but truly performs. But in order to catch the discerning fisherman's eye, they needed their brand to stand out. The new Clear Creek logo evokes feelings of strength and lasting quality, while the classic styling appeals to fishermen of every generation. Pairing their new logo with a new website, brochure and product packaging, Clear Creek's brand now tells a story of durability, performance, and the fly fishing adventure that their customers crave. Clear Creek's logo and tagline: Rugged, adventurous and inspired by the passion of fly fishing. 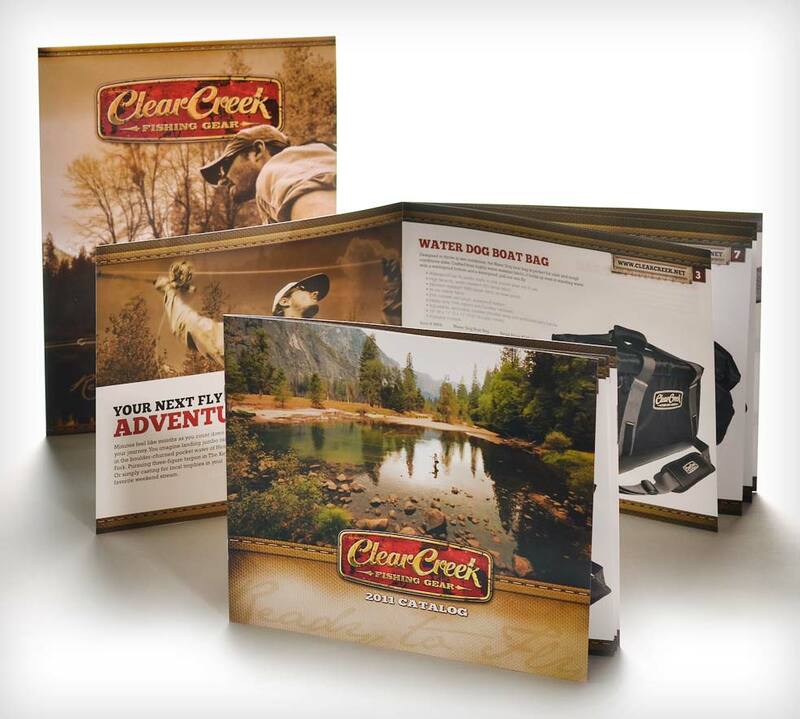 Clear Creek product catalog: A standout format presents products as well as the brand’s new look, feel and voice. 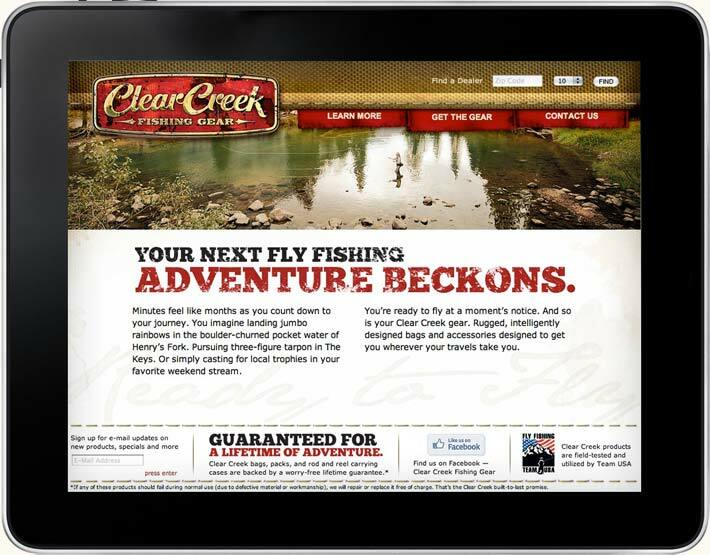 Clear Creek’s website: Easy to navigate and equipped with analytics, product info and an engaging brand story. Visit full site. 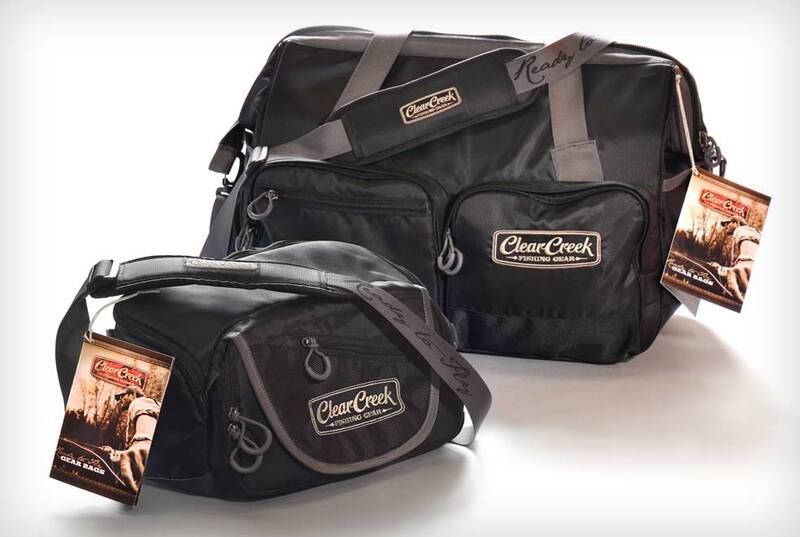 Gear bags, co-designed by North Forty and Clear Creek to stand out in stores. Front to back: Spite Hill Guide Pack, Still River Kit Bag.